This custom blend of familiar autumn flavors is just what this season's baking and hot drinks call for. 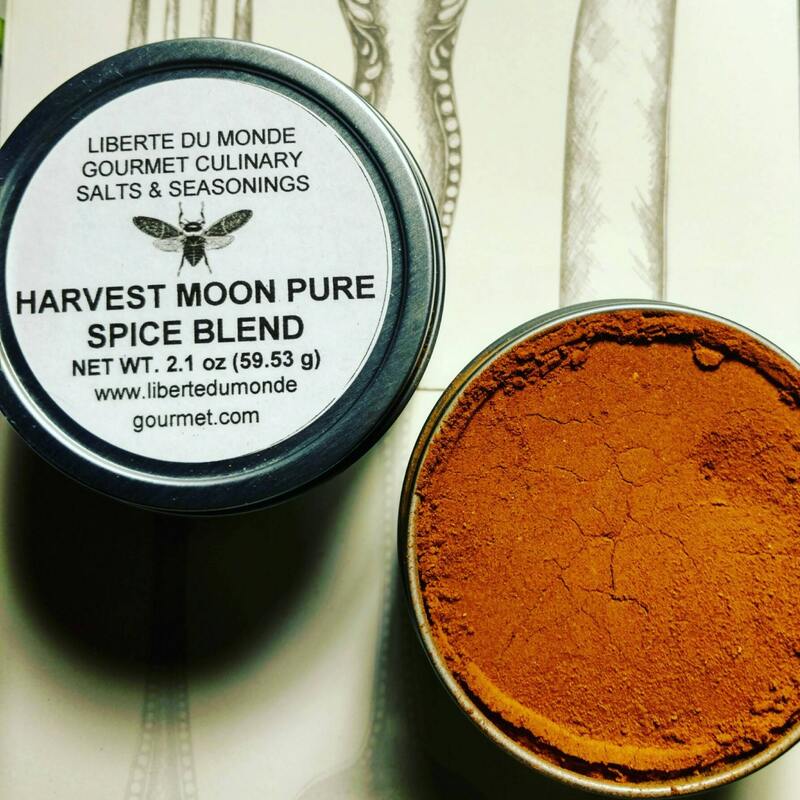 Liberté Du Monde Gourmet's custom blend of fresh ground Ceylon Cinnamon, Cloves, Cardamom, Allspice, Ginger, Tahitian Vanilla Bean and Nutmeg are perfect for your favorite baking recipes and sprinkled over coffee grounds before brewing for and extra special cup of coffee. Packaged in a 4 oz rust resistant food safe tin.